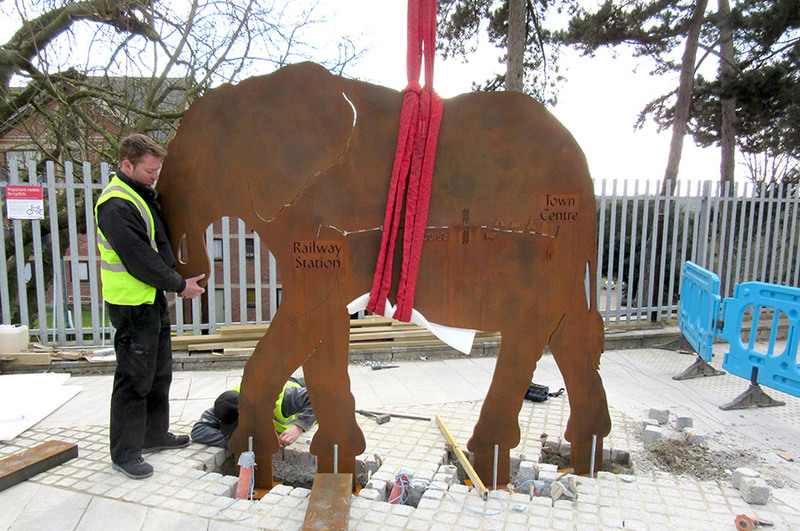 Inspired by Emperor Claudius’s dramatic arrival into Colchester with a herd of elephants, this project combines way-finding, public art and public realm improvements to improve the walking route between Colchester Railway Station and the town centre. 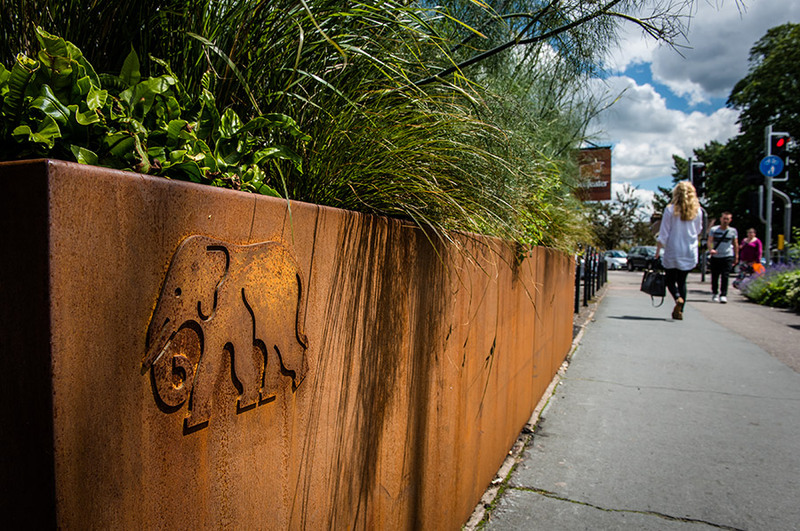 Our ambition was to create a welcoming and exciting first impression on arrival at Colchester and to create an enjoyable walking route between Colchester railway station and the town centre and vice versa. 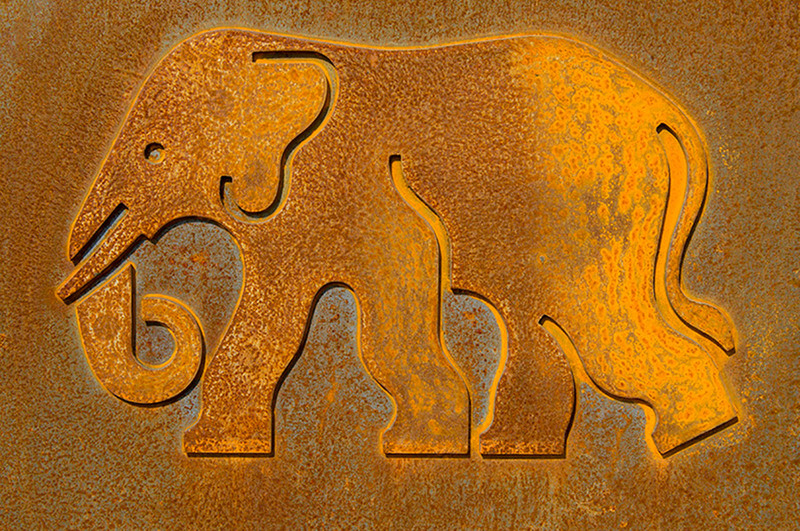 A high-impact life-sized elephant sculpture greets visitors on arrival at the station and marks the start of the trail. 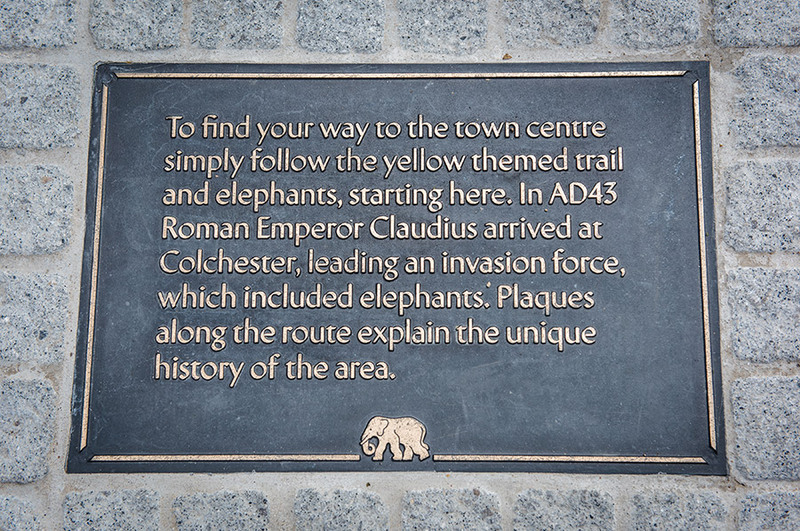 Landmark yellow banners herald the walking route, while in-laid bronze plaques reveal information as to Colchester’s unique history. 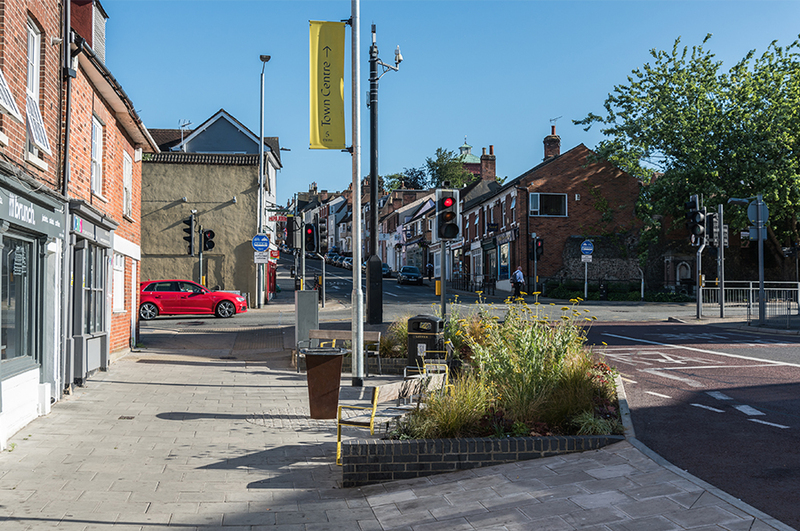 New planting and seating create a welcome pause point before entering the old Roman City walls, and a cast bronze strip indicates the former location of North Gate, one of the main Roman gateways into the walled town. 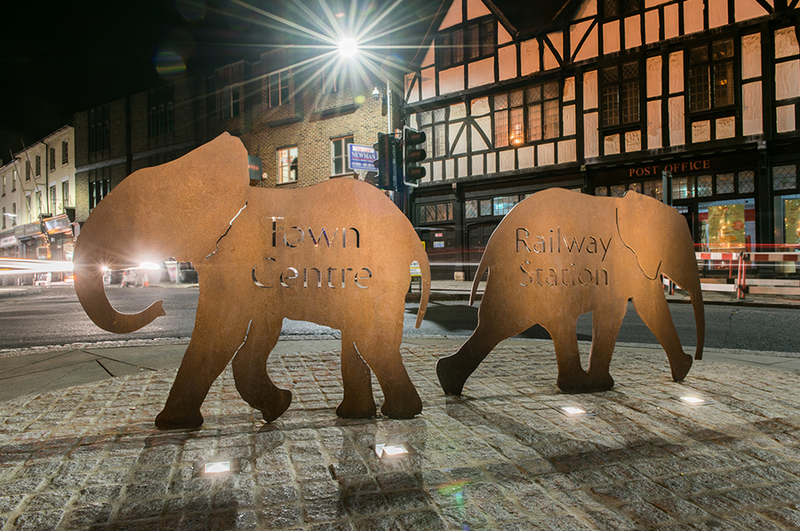 New lighting illuminates St Peter’s Church to help guide pedestrians after dark to their final arrival point to the Highstreet where a pair of baby elephants complete the journey. 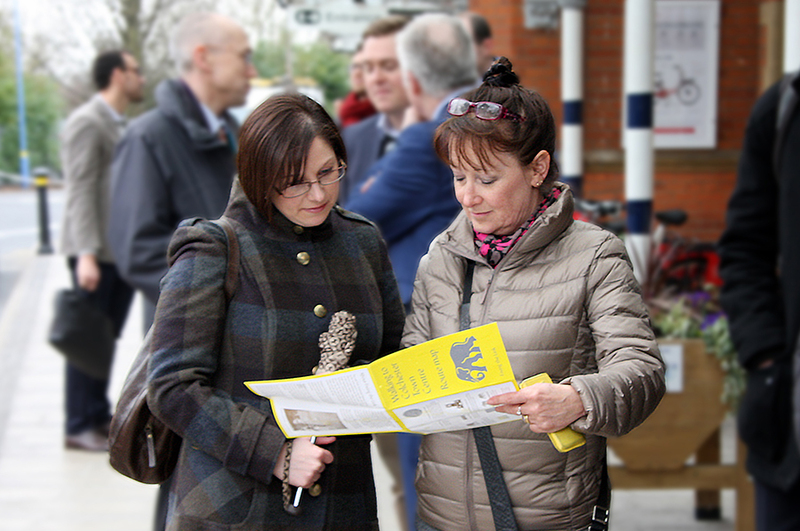 The Fixing the Link project is part of the Colchester Station Travel Plan, which encourages station users to travel more sustainably. 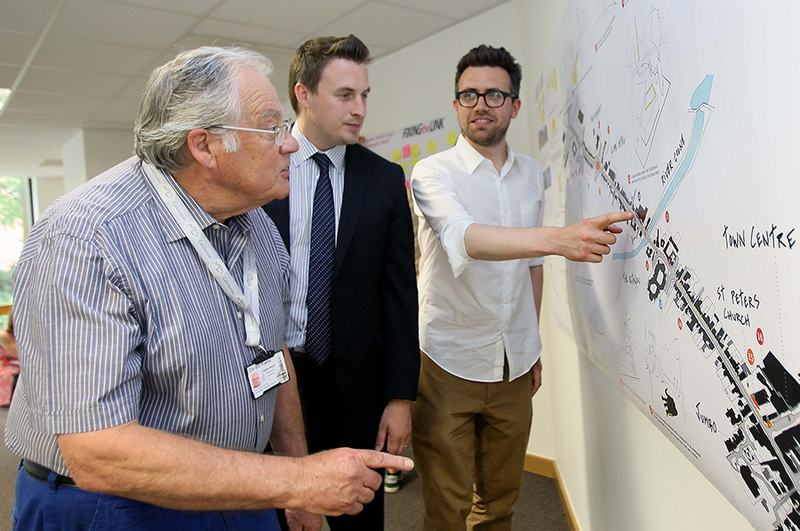 The Fixing the Link study, commissioned by Abellio Greater Anglia’s parent company, identified that Colchester station scored poorly on the legibility and orientation criteria and the key objective of the brief was to improve this scoring and increase the number of people walking between the station and the town centre. 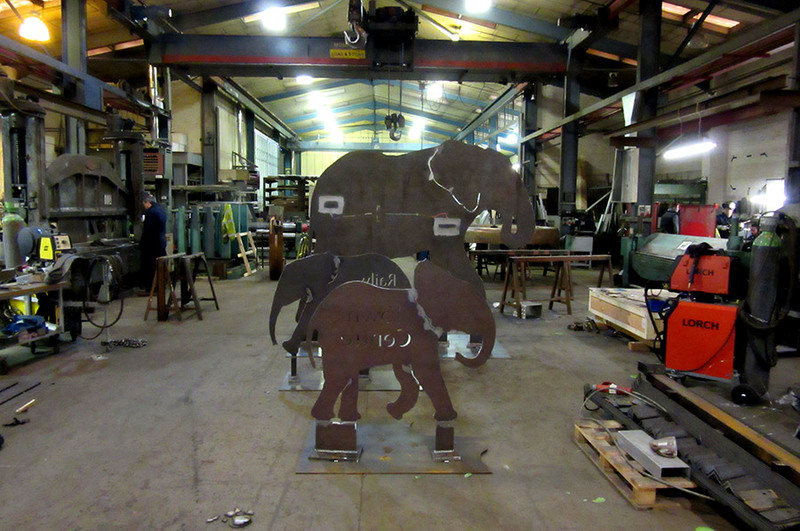 In the development of the of the project, we challenged the client’s understanding of the brief and re-shaped it to respond to the desired outcomes. 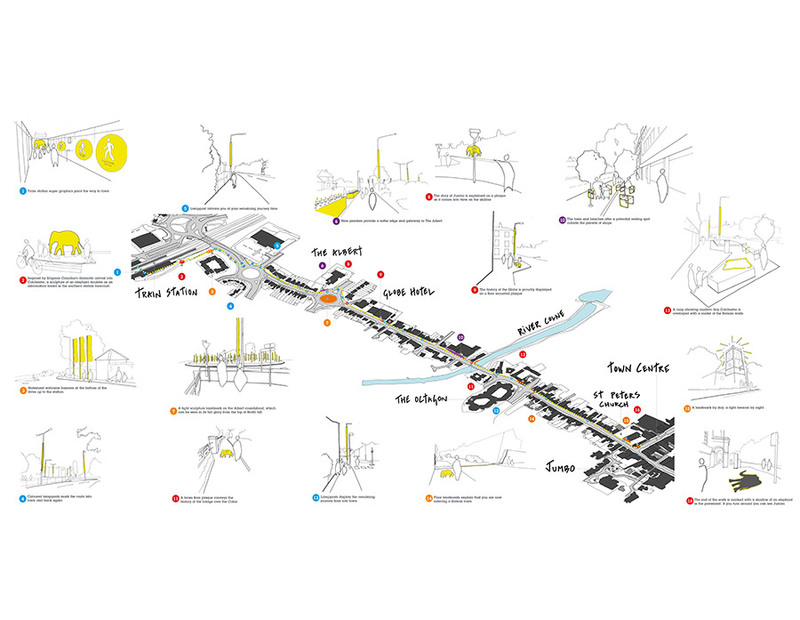 Following initial mapping exercises to analysis deficiencies and strengths of the route, we approached the design as an iterative process to arrive at a holistic solution that would address the full walking route. 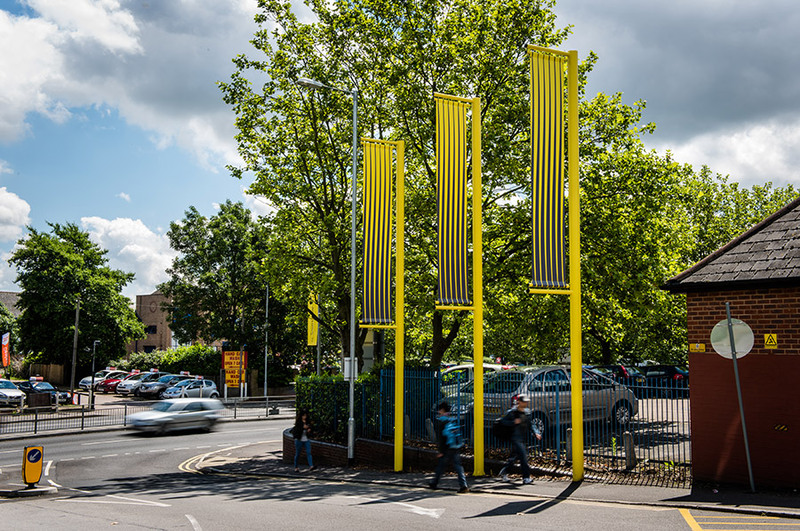 The final installations form part of a wider series of proposals which will serve as a blueprint for future commissions. 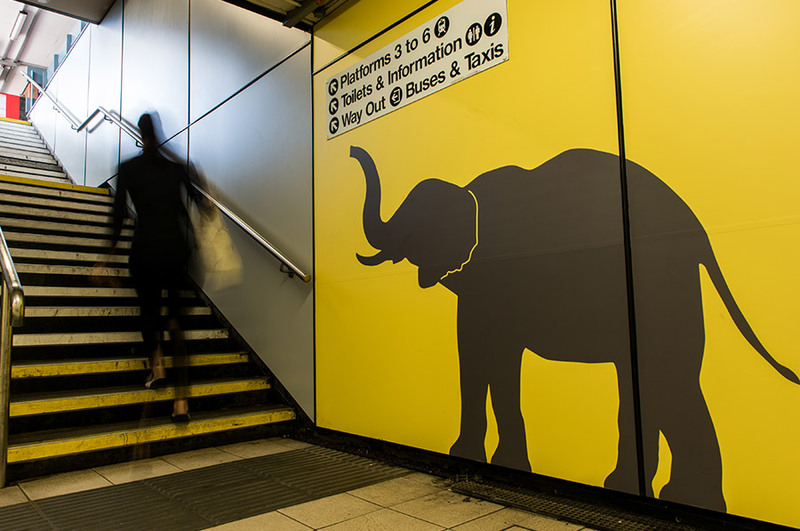 Pre-construction, we led the tender process, statutory permissions and licensing agreements and during construction managed subcontractors working on many different sites simultaneously. 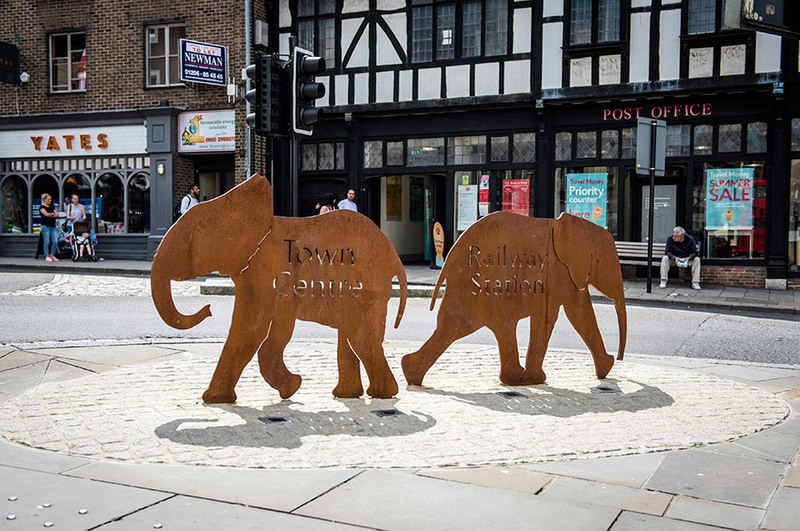 We were inspired by Colchester’s unique history and the repeated reference to elephants, which became a playful and recognisable motif for the project. 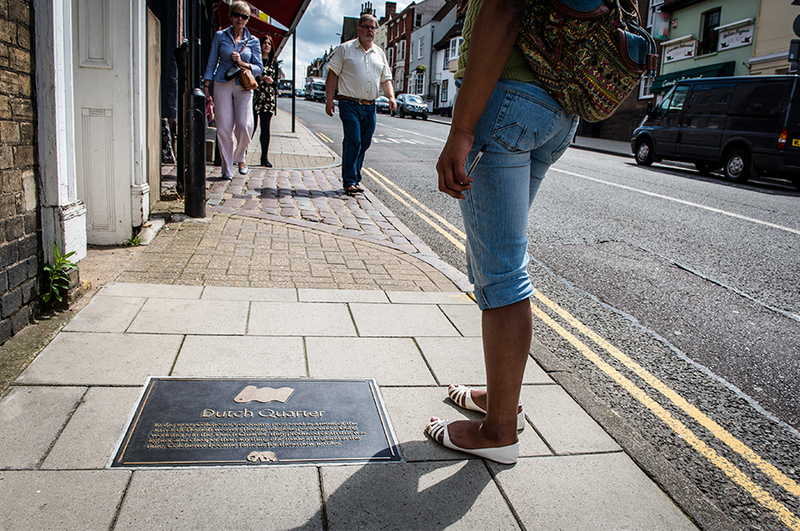 In our research, we consulted with a local historian, and Colchester and Ipswich Museum on the town’s historical references and we also engaged with local community group Colchester in Bloom, whose mission is to make Colchester a more beautiful place to live and work in. 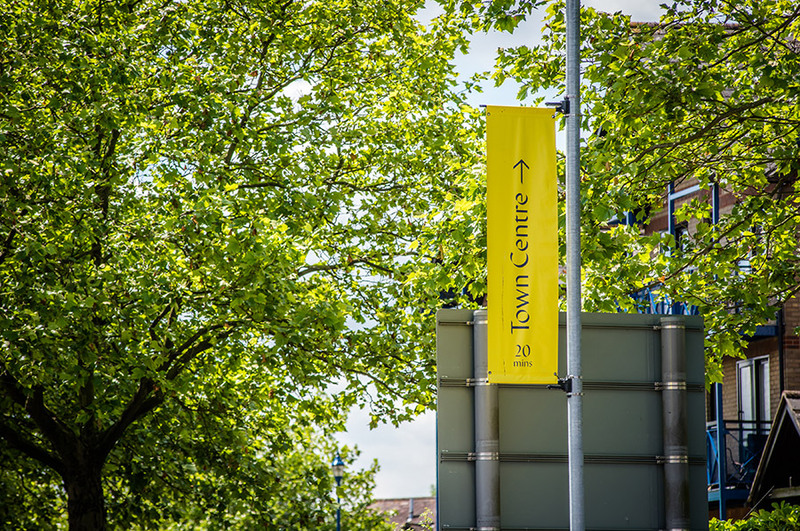 This collaboration, in addition to public workshops and consultation events, was very important in helping to create sense of community ownership of the project. 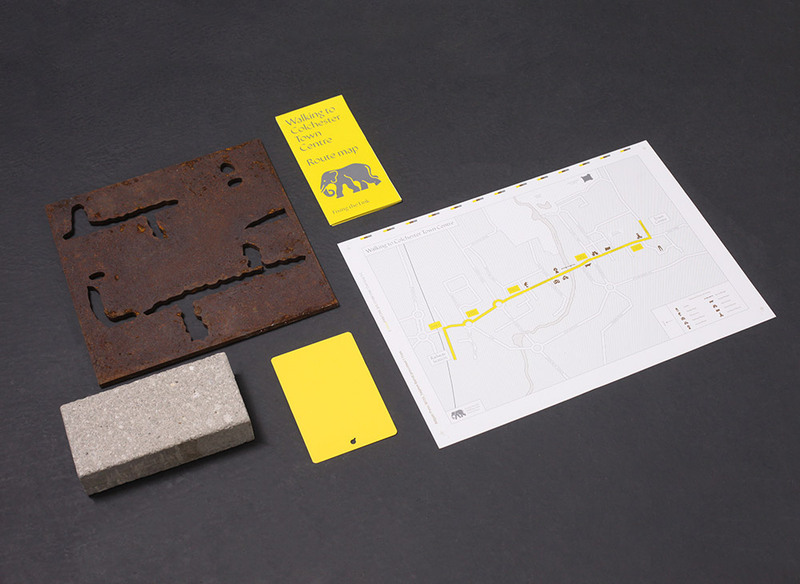 The materials for the design initiatives were all chosen for their long life-spans and their ability to change with the weather. 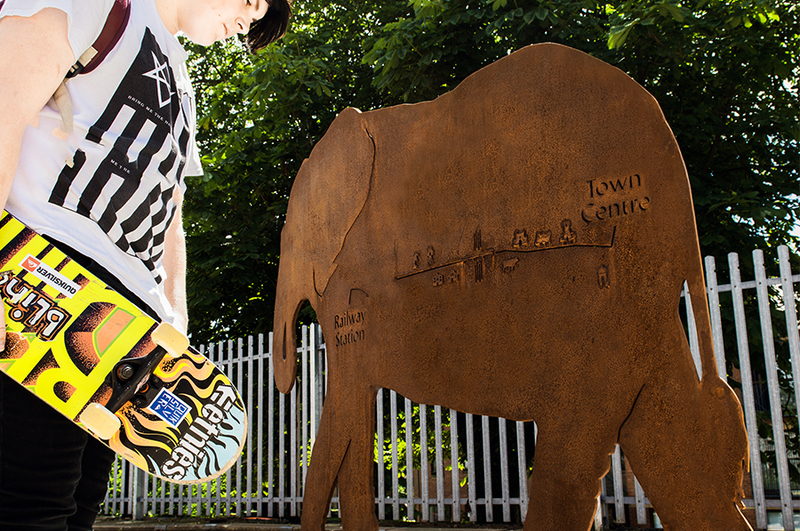 Ease of maintenance and longevity were key criteria in the selection of materials, which were important sustainability features of the designs. 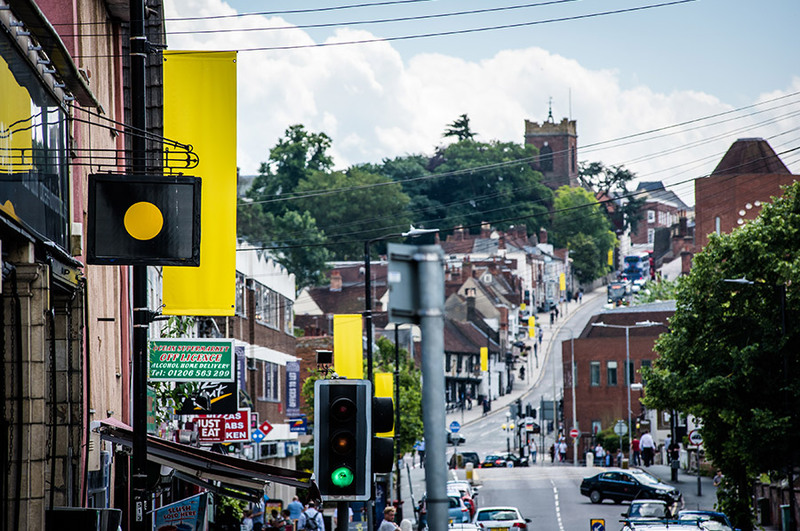 The decision to use yellow as the colour to bind the initiatives together emerged from consultation with The Royal National Institute of Blind People (RNIB) as it is seen to be the most suitable choice for people who are visually impaired. 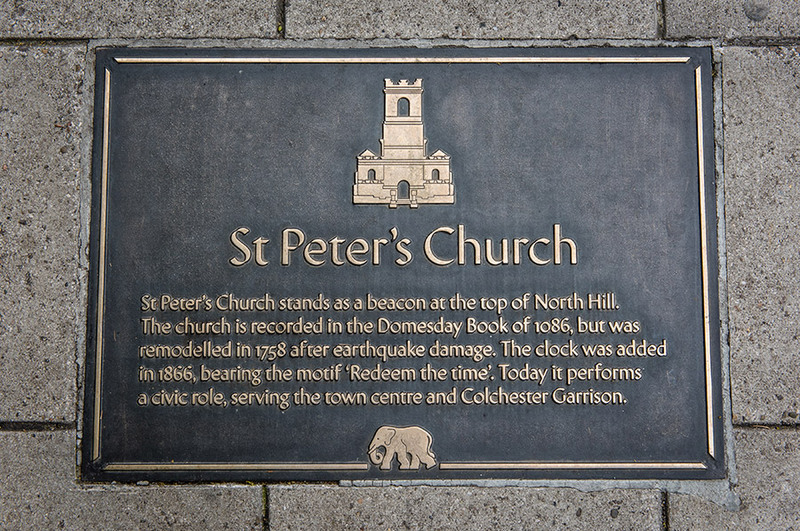 The design initiative included cast bronze ground mounted plaques and careful consideration was given to the choice of typography and the legibility of the plaque design, so that the font type and point size was within the parameters set by the building standards to ensure the needs of disabled people were met.